Is it OK to play favorites? If we are talking kids, the answer is, No. If we are talking pork products, the answer is a resounding, Yes! My favorite is pork loin. And the preparation Chef JJ Johnson uses for his Pork Suya in this video from Eater looks straight up A-mazing. The combination of Bird’s Eye Chilies, onion, lime and other big flavors is exotic, but the preparation couldn’t be easier. In fact, I think a small reason the Pork Suya looks so amazing is because it looks totally do-able! — Because getting to Harlem for a nice dinner with a toddler in tow is about the most difficult thing I can imagine at this moment. Just sayin. Watch Chef JJ make Pork Suya with Kimchi in this handy video and get the complete recipe. You’ll learn a super cool pork loin preparation and be able to resist the urge to hop on the next plane to New York. Do you play favorites with pork? Are you in the bacon majority or do you spread lard on your toast? 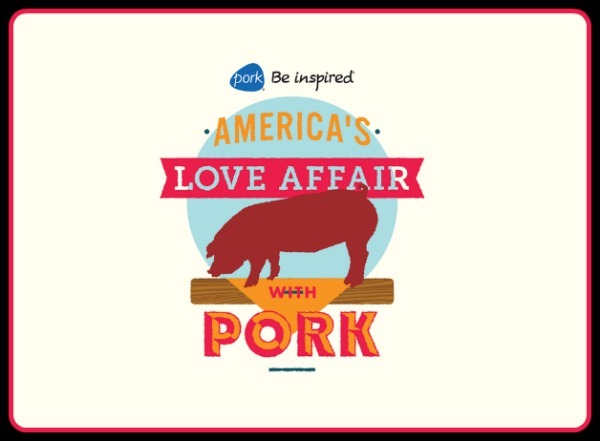 Check out this infographic that further explains America’s obsession with pork. Hi Sara, thanks for posting this video. A must watch for all pork lovers. Keep sharing such recipes.